Where Can I Place the Buddha Hand in My Home? Question: I was given a beautiful Buddha hand mini sculpture as a gift. Where can I place it for best feng shui? Is the Buddha hand OK in my home office? Or, can I maybe place it in my living room? Answer: The so-called Buddha hand comes in many forms, so it is best to be very specific about your Buddha sculpture. Sometimes people refer to Buddha hand as the depiction of just one hand (or two in a prayer gesture called Namaskara), while others refer to a whole Buddha statue with a specific mudra, or gesture, as a Buddha hand. if you have a whole Buddha statue with hands in a specific gesture/mudra, it is always best to find out more about your Buddha. Is your Buddha the Blue, or Medicine Buddha? Then you will certainly benefit from using your Buddha hand with the intent for healing; either in the health feng shui area (East bagua area of your home) or in any area that needs healing energy. This can be a small office with little natural light or a bedroom of a person in need of healing. Or, maybe it is the female Buddha Kwan Yin? Known as the Goddess of Compassion and Mercy (as well as the Sacred Rebel), you can place the female Buddha statue in any area that needs a very strong compassionate energy. When you need a break-thru energy with a deeply compassionate presence, Kwan Yin is your best ally. Place her statue on your little altar in the living room or carry her image in your purse. In the process of finding out more about your Buddha, you will also understand the meaning of specific hand gestures. While most of them will have a blessing energy, they also differ in their meaning and intent. For example, there is a specific mudra called Karana mudra with which the negative energy is expelled. This mudra is actually used in several BTB feng shui school rituals as it is a very powerful gesture of purification. As you see, there are always details to look into that can give you more info on the best placement of any item as a feng shui cure. Feng shui-wise, there are only several restrictions for placing a Buddha - be it a whole body statue or just the hands in a mudra. It is best to avoid placing a Buddha in areas with low or challenging energy, such as the bathroom, the garage, or the laundry room. It is also best not to place your Buddha sculpture directly on the floor, unless you have a big, tall Buddha. 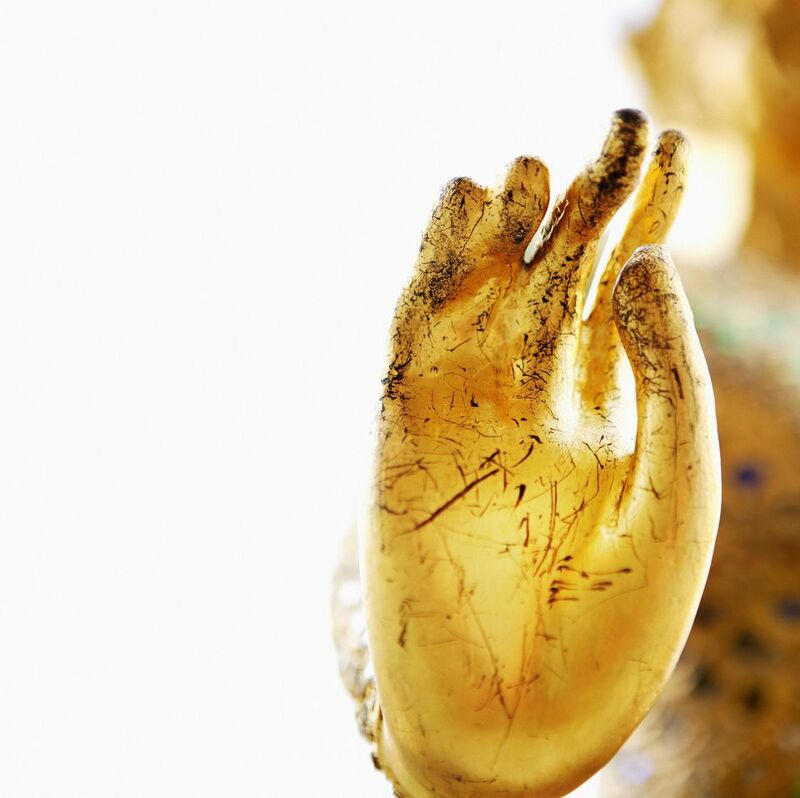 However, understanding specific Buddha hand gestures can bring even stronger energy when you place the statue with deeper knowledge of its meaning and intent. So, let's look at several most popular Buddha hand gestures and the best feng shui placement of such Buddha hand statues.